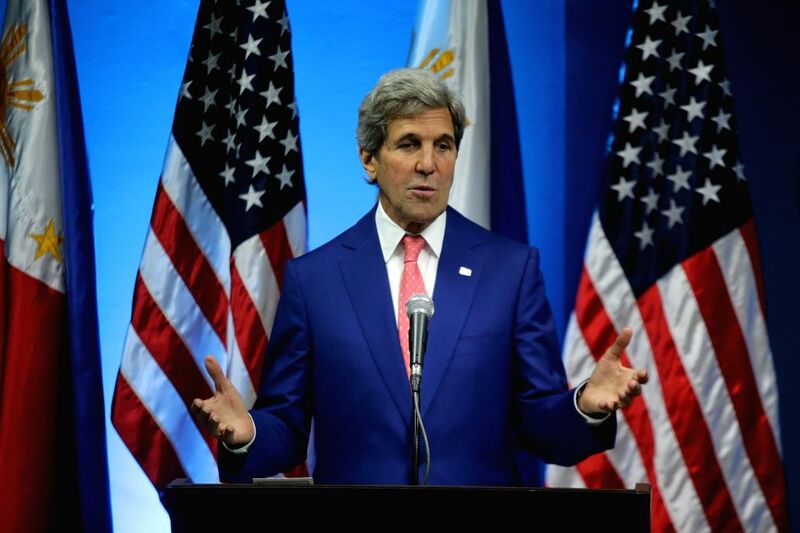 PASAY CITY, July 27, 2016 - U.S. Secretary of State John Kerry speaks during the joint press conference at the Philippine Department of Foreign Affairs in Pasay City, the Philippines, July 27, 2016. The United States does not take a position on the competing sovereignty claims to the land features in the South China Sea, said U.S. Secretary of State John Kerry on Wednesday. 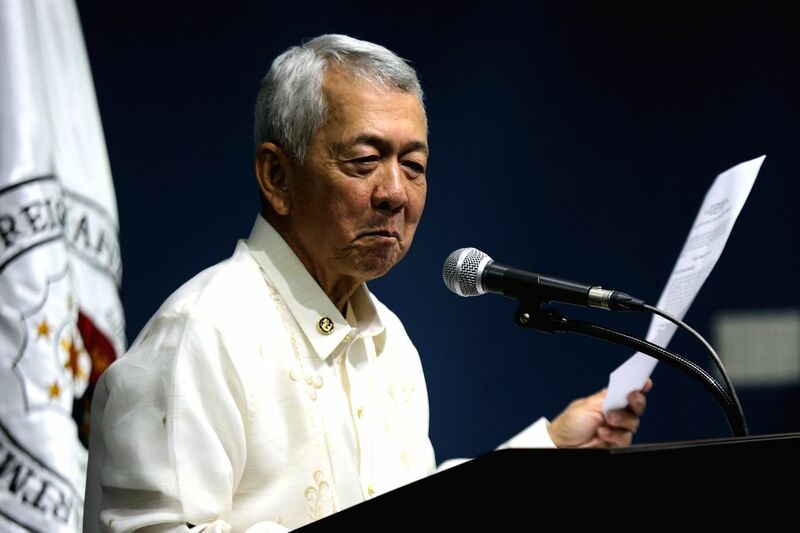 Philippine Foreign Secretary Perfecto Yasay speaks during the joint press conference at the Philippine Department of Foreign Affairs in Pasay City, the Philippines, July 27, 2016. 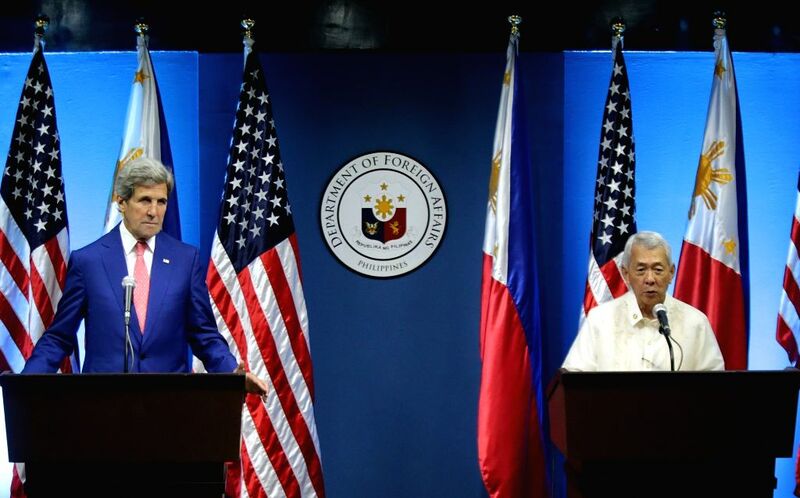 U.S. Secretary of State John Kerry (L) and Philippine Foreign Secretary Perfecto Yasay attend a joint press conference at the Philippine Department of Foreign Affairs in Pasay City, the Philippines, July 27, 2016.